Marathon of Sport is coming to McGill University! What is motionball? motionball is a national nonprofit organization raising funds and awareness for Special Olympics through inclusive sport and social events across Canada. 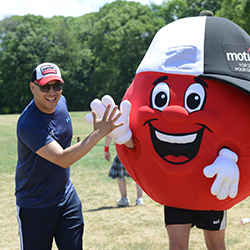 The goal of motionball events is to engage the next generation of Canadians in the Special Olympics movement by putting the fun back into giving! What is Marathon of Sport? 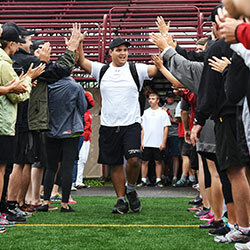 Marathon of Sport is an exciting day of athletic competition that pairs McGill students with local Special Olympics athletes. Teams of 8-10 students + 2 Special Olympic athletes compete in a series of sports to promote sportsmanship, inclusion and friendly competition. Participants will receive: an Under Armour T-Shirt, Pita Pit lunch, and an awesome day for a great cause on the playing field! See below for registration info! REGISTRATION: Registration is $20 but if you fundraise $50, you get your $20 back! To register as a Team Captain, click here to email us now! To register as an Individual, click here we’ll put you on a Team with other Free Agents! 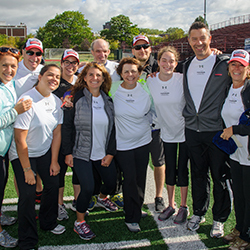 Experience an awesome day of sport & celebration with your friends and most importantly, get the chance to play with the proud Special Olympics athletes who motionball supports! See you on March 23rd! !